The GP Percussion B2 Bongos are a set of drums from GP Percussion geared towards new musicians looking for their first set of bongos. 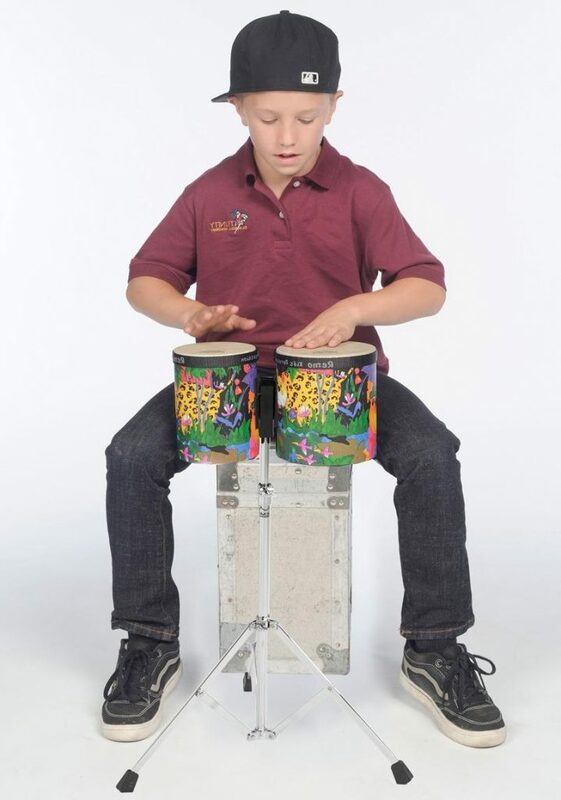 They could also be good bongos for older kids. After reviewing several bongos for beginners, we determined the the GP Percussion B2 bongos are a great choice for your first set of bongos. You may want to read our Tycoon Percussion Ritmo Bongos review before making a final purchasing decision. The Tycoon Percussion Ritmo Bongos is the entry-level bongo from Tycoon Percussion aimed towards beginner and novice musicians looking for their first set of bongos. After testing numerous bongos in this category, we can say that the Tycoon Ritmo bongos are the best bongos for beginners, hands down! Stevie Wonder, Bono (U2), John Lennon (Beatles), Bryan Adams, Steve Tyler (Aerosmith), Eddie Vedder (Pearl Jam), Chris Martin (Coldplay)…All play the harmonica. Why? Because they’re portable, inexpensive and very, very cool. Best Premium? The Suzuki HA-20-C Promaster Hammond Professional Harmonica. We’ve played many, many harmonicas and this one tops them all for sound quality at the price. Black enameled brass cover and black coated aluminum comb. It’s spectacular. Check discount here. Best Value? The Hohner Marine Band Harmonica. Ask yourself this question – if it’s Bruce Springsteen and Neil Young’s choice, is it good enough for me? Check today’s discount here. Best Budget? Don’t underestimate The Classic Suzuki Folkmaster Harmonica. Though this is manufactured in China as opposed to Japan, it will absolutely do a beginner proud and for the price – how can you go wrong? Find it here. The harmonica, also sometimes called the “Blues Harp“, is a small and simple wind instrument played in a variety of different music genres. Most notably in blues, rock, country, and jazz.